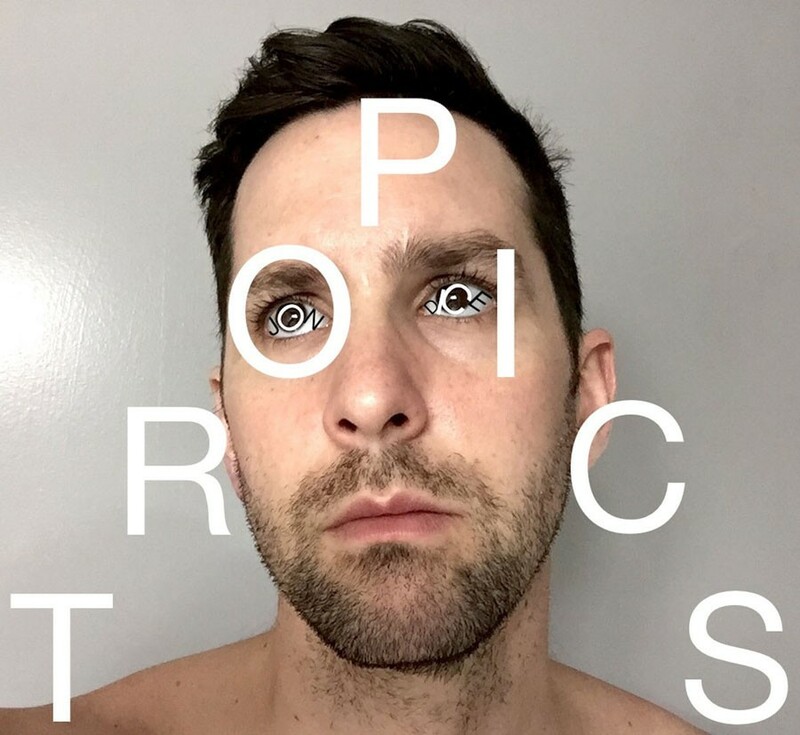 The cover art for Jon Dice's 10th studio album, Tropics, features Jeff Pupa's face. His eyes contain the letters of his name, arranged around his pupils. The stark gray background doesn't exactly conjure visions of breezy tropical isles — these tropics are of the psychoactive variety. As guitarist and singer for the Burlington/New Jersey garage-psych band Vows, Pupa channels the Flaming Lips — Vows' sound is fuzzed-out and sunny. Jon Dice is one of Pupa's side projects and serves as an outlet for him to explore the rigid yet infinite world of technological composition. Tropics is a digital labyrinth with clean hallways of compressed electronic programming. EDM production is the Erector Set of a culture sitting on the edge of the eschaton. Pupa plays with this concept in multiple references to death and mechanical totalitarianism on the album. His ideas take the form of bit-crushed, warped vocal samples. The album opens with "In." A sample of a French radio broadcast disintegrates into a brief, witch-house beat with heavily cascading synth chords and gothic choral samples that evoke the Michigan trio Salem. A quick transition into "Galamod" initiates a pulsating, four-on-the-floor rhythm interspersed with chopped vocoder and low-frequency oscillation with a heavy '90s Parisian techno influence. "EKG" deepens the album's atmosphere of digital aggression. It starts with a meditative bell and an eerie, distorted vocal sample, like a recording found on the wreckage of a spaceship destroyed by one of H.R. Giger's aliens (the Swiss painter designed the concept art for the movie franchise Alien). The track unfolds like Giger's paintings as drum programming conjures a frightening journey through massive, extraterrestrial factory mechanisms that shift and rearrange. In the following track, "1/3," some of the teeth-gnashing synth grind is replaced with panning delayed synths. They echo like audible satellite signals over a minimal drum line and shimmering hi-hats. "Stay With Me" opens with a reach toward the haunting beauty of Burial's Untrue. Pretty synth arpeggios flutter over slowly unwinding, ambient chords and mournful vocal elements. The ever-present rhythm gives this cut a strong dance-floor element amid angelic trance components. "COMPLY," "Ghosts" and "Lenore" communicate the same fascination with mathematics and design as do M.C. Escher's drawings. Pupa seems to tirelessly enjoy exploring the confines of manmade patterns. His layers of sound create a futuristic landscape, a planet with every inch covered in sleek construction. Lying in wait at the end of the album is the standout piece "Burnout." The track opens with an experimental house groove containing Eastern instrument samples entwined in elegant composition. Electro/disco bass carries the composition through evolving, ornate layers and into multiple dynamic transitions similar to English musician Four Tet's artistic, progressive house. Tropics by Jon Dice is available now at jonaciddice.bandcamp.com.